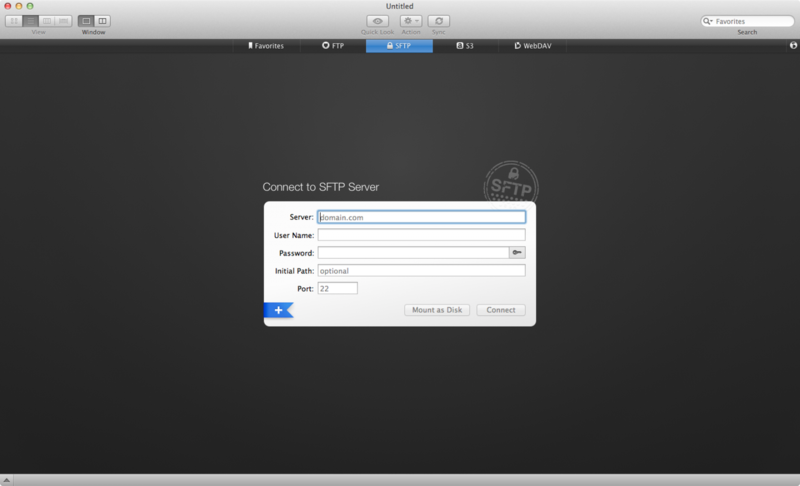 Transmit is my FTP/SFTP client of choice. By default, Transmit hides hidden/invisible/system files. As a web designer, it useful to show hidden or system files by default when working with platforms such as Wordpress (.htaccess, anyone?). Navigate to Applications > Transmit.app. You'll need to be connected to a server to access the full View context menu mentioned below. Any server will do. 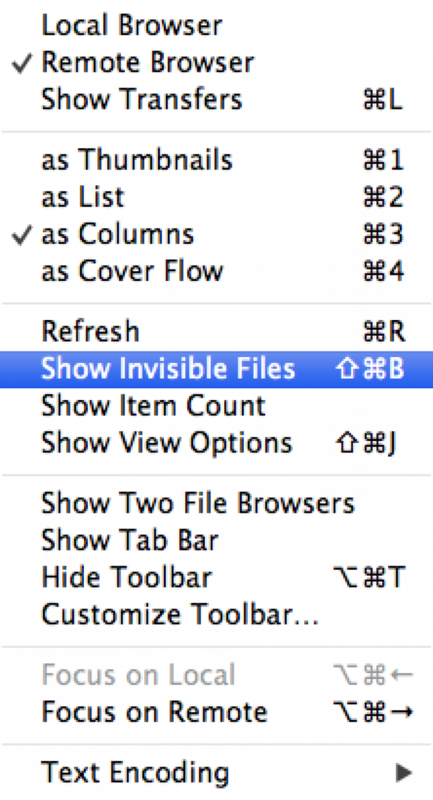 With the Transmit window active, navigate to View > Show Invisible Files. By selecting this menu item, invisible files are now shown in Transmit.